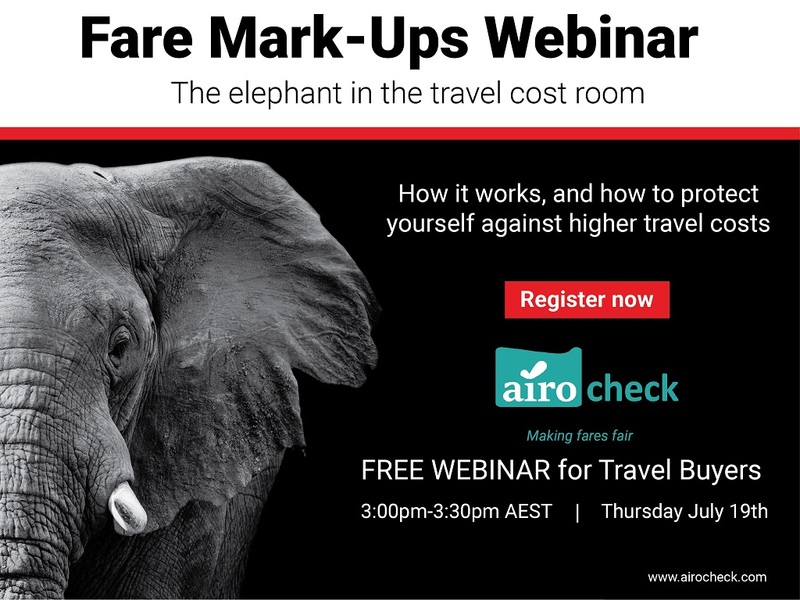 What is the elephant in the travel cost room? Fare Mark-Ups. They can add tens or hundreds of thousands onto your travel costs. They are something you really do need to know about if you manage travel. The webinar will be a short and sharp explainer for buyers, covering the what, the how, the why and what you need to do. Tony is the MD of Butler Caroye, the region’s leading independent management consultancy specialising in the corporate travel supply chain. Established in 1998 Butler Caroye has assisted over 120 corporate and government travel buyers, and has managed over 75 travel tenders. He is also the Joint CEO of Airocheck, the global travel audit company that checks for hidden fare mark-ups using proprietary decoding software. Airocheck also provides audits for correct fees and commission payments, and for contracted fare and rate availability.